Lama Jampa Thaye, under the spiritual authority of Karma Thinley Rinpoche, is the founder of Dechen, an international association of centres of the Sakya and Karma Kagyu traditions of Tibetan Buddhism. The name ‘Dechen’ (English: ‘great bliss’) comes from a line composed by Karma Thinley Rinpoche: “The antidote to laziness is great bliss”. Lama Jampa Thaye is one of the most important Western Buddhist masters of our time. Born in Bolton, England in 1952, he became a student of Karma Thinley Rinpoche at the age of 20 and met His Holiness Sakya Trizin, head of the Sakya tradition of Tibetan Buddhism, a year later. 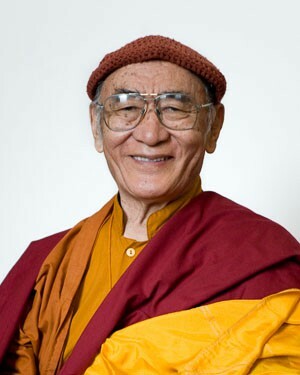 In 1977 Lama Jampa was appointed by Karma Thinley Rinpoche as his dharma regent. Later, in 1988, he was given the authority to carry out the activities of a lama, such as bestowing initiations. Even today, he remains one of the few Westerners qualified to give all levels of Buddhist teachings. 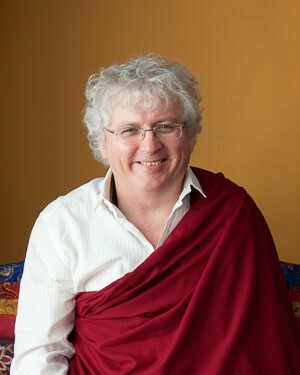 During over 40 years of Buddhist teaching and practice, Lama Jampa has received innumerable initiations, transmissions and instructions from the Kagyu, Sakya, Nyingma and Kadam schools of Tibetan Buddhism.